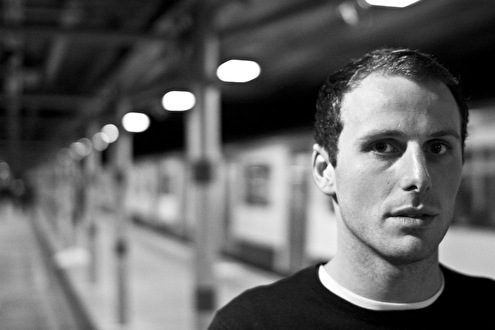 Midland made his 2010 debut alongside longtime friend Pearson Sound with their anthemic track "Your words matter", a track that would go on to be placed in DJ Mag's "100 most important house records" feature. Within the track the pair wove, defied and played with a number of genres and, in doing so, Midland laid a clear foundation stone for his vision of how electronic music could be. It is a sound that is rooted in House and Techno but with the rumbling low end of Dubstep and wide screen experimentation of classic Electronica. Since then, subsequent releases with Aus Music, She Works and Phonica plus remixes for artists like the 2 Bears and Julio Bashmore have cemented his reputation as a producer whose tastes reach beyond the dancefloor. His deft edits of Washed out, Boards of Canada and Caribou have become firm favourites with many and won over some diehard fans along the way. As a DJ his sets are unsurprisingly diverse, something witnessed at clubs from Fabric to Plastic People to Space in Ibiza, Panorama Bar in Berlin and Chinese Laundry in Sydney. As a result he is just as likely to be playing seen playing alongside artists such as Joy Orbison and Ben Ufo as he is Marcel Dettman, Four Tet or Will Saul. Fabric is still going strong! We hebben de nieuwste FabricLive in handen, namelijk deel 94, ditmaal gemixt door Midland. Garnier? Dettmann? Nee op Dekmantel moest je afsluiten bij Midland!